Isaac Nichols (1770-1819) was found guilty of stealing in July 1790 at the Warminster Sessions, Wiltshire and sentenced to seven years transportation. He arrived in New South Wales in the Admiral Barrington in October 1791. After a few years, his ability, diligence and sobriety so impressed Governor John Hunter that he was appointed chief overseer of the convict gangs. When his sentence expired On 20 December 1797, Hunter granted him 20 hectares in the Concord district. Isaac Nichols named the property Yaralla, an aboriginal word thought to mean ‘camp’ or ‘home’. He developed the property as a mixed farm and established a notable orchard. 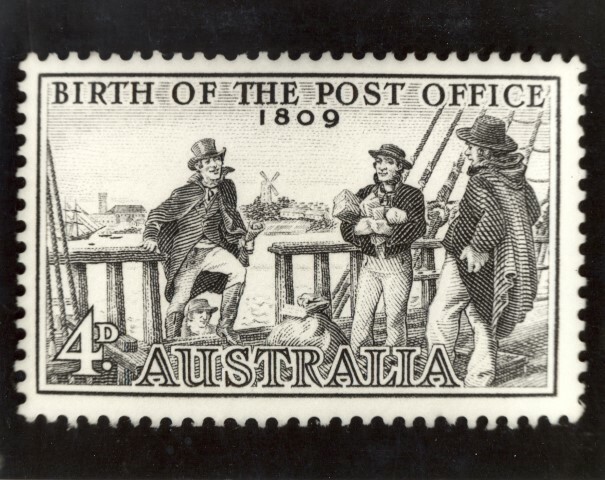 In 1809 Isaac Nichols had the distinction of being appointed Australia’s first postmaster and operated the post office from his home in George Street, Sydney. Stephen Brown will be speaking on the early Post Office in New South Wales at the City of Canada Bay Museum on Saturday, 3 May 2014 at 2pm. The talk will coincide with an exhibition of coins and postage stamps at the museum. Local Studies has acquired 23 photographs of local soldiers who served in the First World War from the Australian War Memorial as part of the ‘More than just a name’ project. 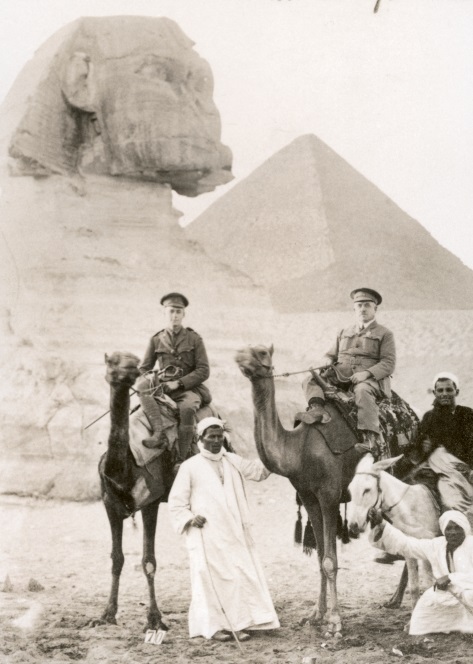 One of the photographs (P05276.006) shows Lieutenant Harold Leslie Henley (left) with his father Lieutenant Colonel Thomas Henley at the Sphinx in Egypt. Thomas Henley, a former Mayor of Drummoyne, was a Member of Parliament during the First World War. He volunteered to go to Egypt as a commissioner for the Australian Comforts Fund to organise the distribution of goods to the troops. His son Lieutenant Harold Leslie Henley was a law student at the University of Sydney when he enlisted in 1914. He served in the Australian Naval and Expeditionary Force which captured wireless stations in German New Guinea and then joined the 13th Battalion. In March 1916 Harold was promoted to Captain. He was killed in action on 15 August 1916 in France, aged 23 years. There are memorial stained glass windows in honour of Harold Leslie Henley at Drummoyne Presbyterian Church. Henley Marine Drive and Henley Park commemorate Sir Thomas Henley. To coincide with National Trust Heritage Festival, author Patricia Skehan will tell the fascinating story of the French Canadian Exiles who were transported to New South Wales in 1840, following uprisings in Lower Canada (now Quebec). They were imprisoned at Longbottom Stockade now the site of Concord Oval. Their presence along the Parramatta River is recalled by the names Exile Bay, France Bay and, of course, Canada Bay. Patricia Skehan will be speaking at Concord Library on Thursday, 24 April at 2pm. 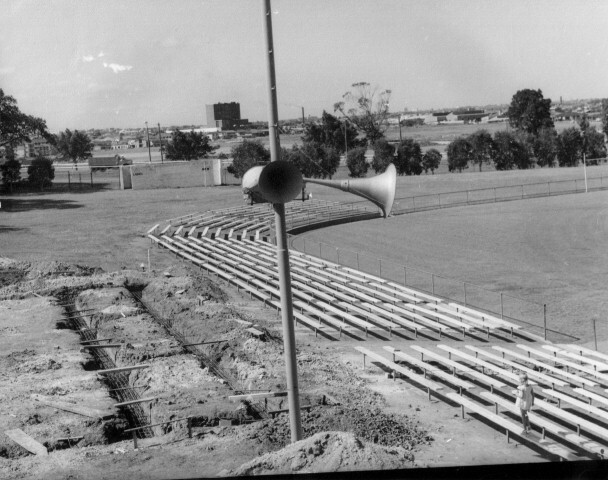 The photograph shows trenches which uncovered the original foundations of the Longbottom Stockade when a new grandstand was being constructed at Concord Oval in 1984.